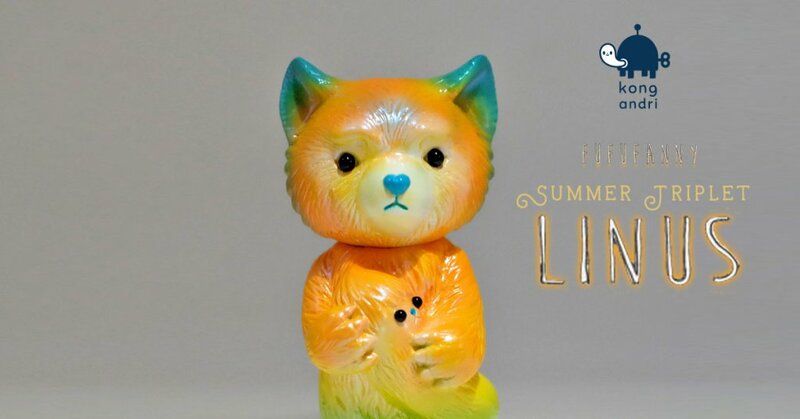 SUMMER TRIPLET Linus designed by Fanny Kao aka Fufufanny painted by Kong Andri gets a new fur coat! Adorable as ever. We never thought Linus can be so bright and yet still looking lonely T_T. Kong Andri adds his Owange spin to Linus which stands at an adorable 10.5cm tall with pearled finishing. Loving Kong’s contrasting blend colours and suits Linus in winter and summer. *Limit 1 set per 1 person Caution: Order more than 1 set will be cancelled.